Before joining the BBC, Amol was Editor of The Independent. 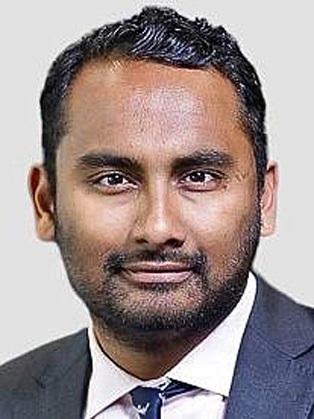 When appointed to the role in 2013, aged 29, he was both the youngest ever Editor of a British broadsheet title, and the first non-white Editor in Fleet Street history. Prior to being Editor, he had been Comment Editor, Sports News Correspondent and news reporter for the title, and for two years was adviser to Evgeny Lebedev, the paper's owner. Amol hosted a weekly interview show on London Live called 'The Headline Interview', in which he spoke one to-one with many influential Londoners including Boris Johnson and Sadiq Khan. As a prolific writer across a range of subjects, he wrote a weekly column in the Evening Standard, was restaurant critic for The Independent on Sunday for 6 years, and still writes regularly for publications such as GQ, Politico Europe, The Spectator and the New Statesman. His regular TV appearances have included Question Time, Masterchef, Great British Menu, Newsnight, The Daily Politics, The Andrew Marr Show, and Lorraine. Before joining The Independent, he was the 'mic boy' on Channel 5's The Wright Stuff, to which he recently returned as a panellist. Amol combined his interest in cricket with his desire to write with his first book, ‘Twirlymen, the Unlikely History of Cricket's Greatest Spin Bowlers’, which was published by Random House in 2011.